Infographics mean Information Graphics i.e. giving information through graphics. It is really very easy to understand and explain the things. 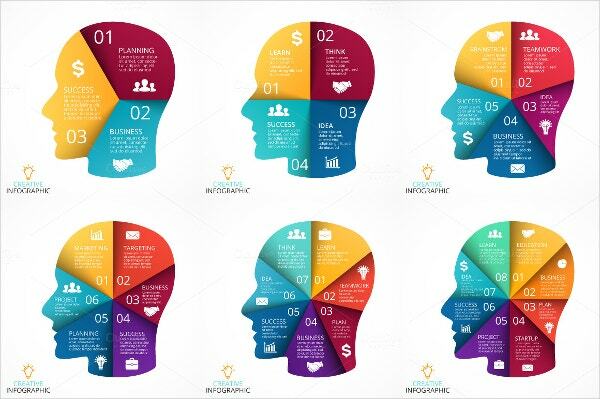 Information graphics are useful when people need to understand a huge presentation in an easy and enhanced format. You can use it for the business purpose of the designs and how the venue will look. These Brochure Designs come with an enhanced and effective way and help in conveying their messages in a realistic manner. 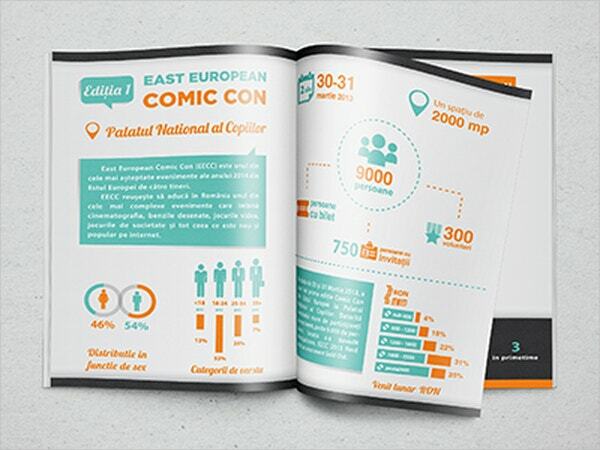 Make your customers attracted to your brochures by going through our list of Infographic Brochures.. 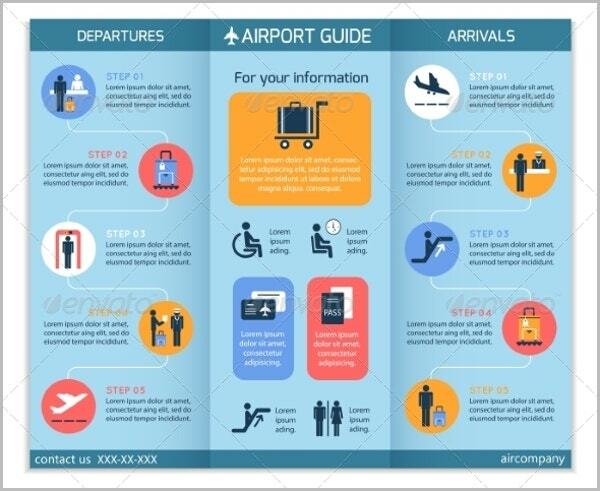 This Airport Business Infographic Brochure has designs of security check workflow steps. It can be simply edited as per your choice as it is vector illustrated. 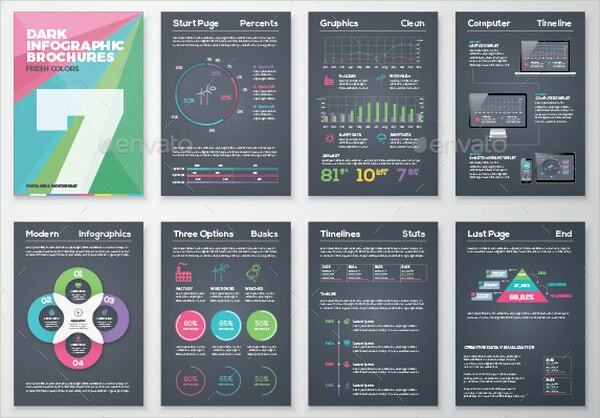 This attractive Best Infographic Brochures Bundle comes with 30 sets of infographic elements. 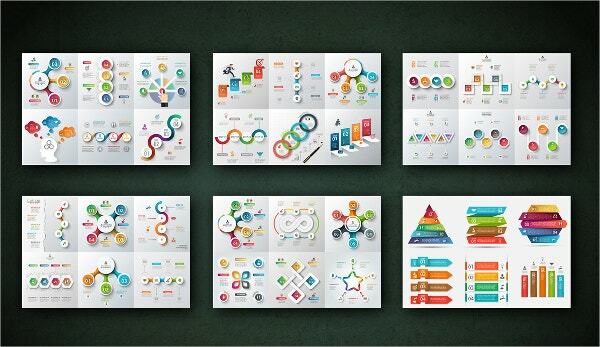 It is suitable for visualizing data, presentations, flyers, templates and much more. 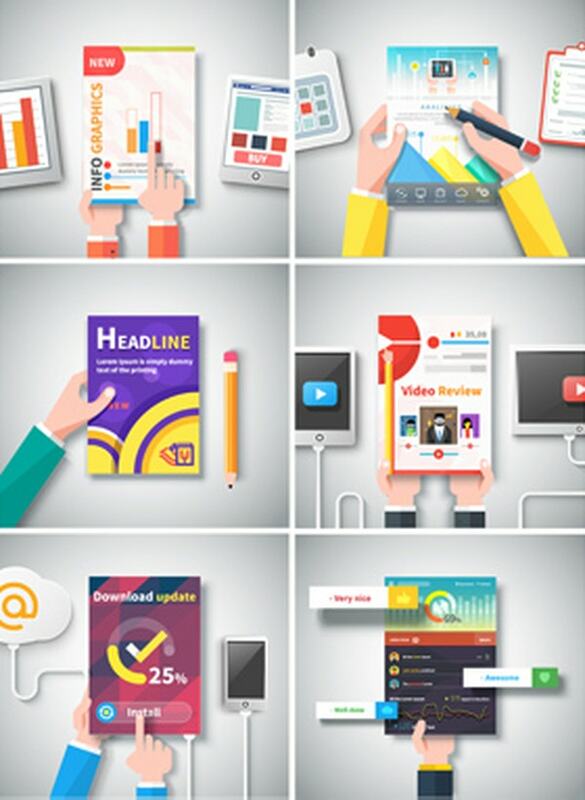 It comes with 30 PSD layered files and high-resolution files. 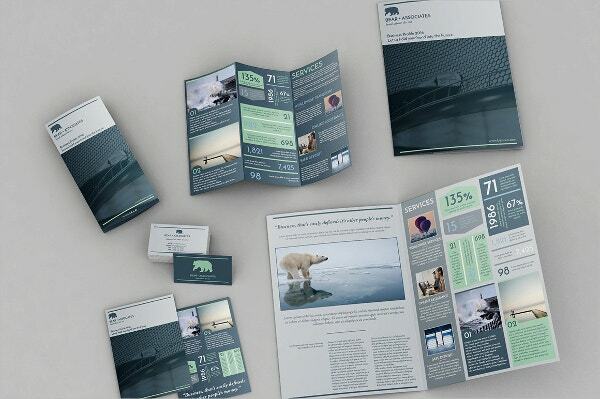 Stationery Infographic Brochures is a total design for a Printable Set. It comes with 4 Pages Bifold, tri-fold, flyer and business card. IT contains very good layouts and background and has 300 dpi resolution. 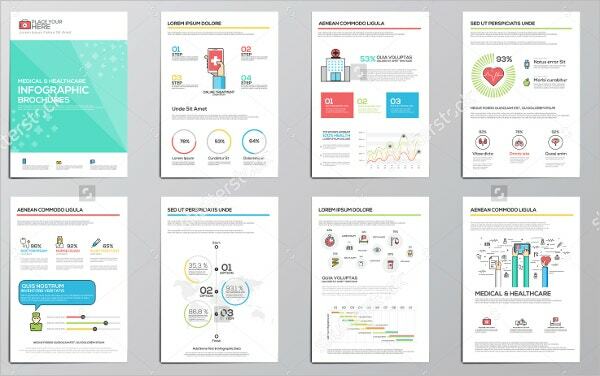 Use this Medical and Healthcare Infographic brochures for your various general and important business projects. It comes with a high resolution and various color and size options. 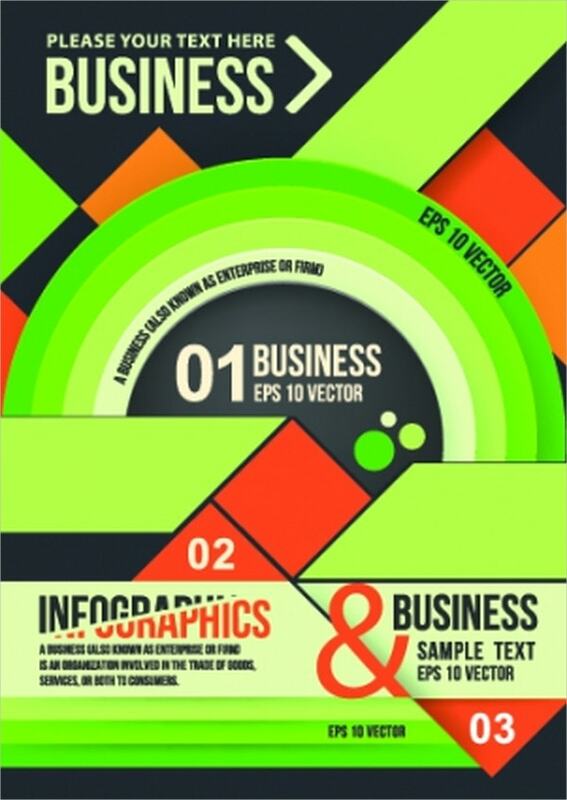 This item contains a lot of Infographic Elements to design your own infographic, flyers, presentations or brochures. It can be used for web design, workflow layout, process templates, timelines and more. Also included are 8 pages, ready to use. It can be edited and has the 300dpi resolution. 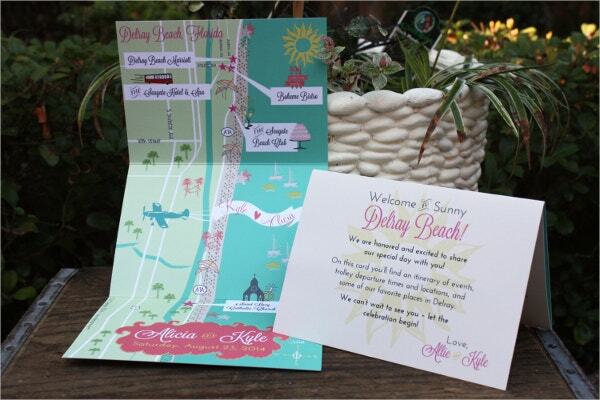 A wedding map is important for inviting people to the wedding. It looks great and can be used as the unique invitation, painting, the cover of a guest book and much more. It comes with a high resolution and CMYK color mode. 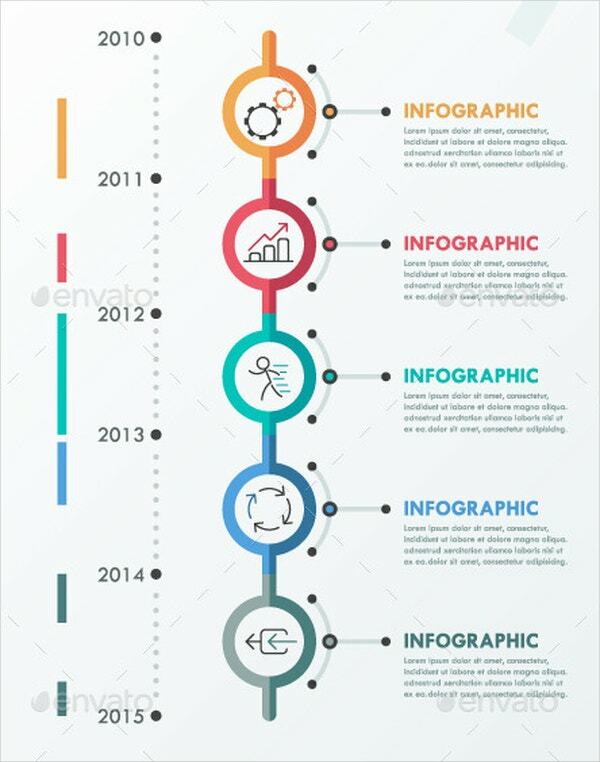 This Modern Infographic Brochure has a lot of important infographic elements and can be used for web designing, timelines, projects and much more. It has 8 pages and a professional look. 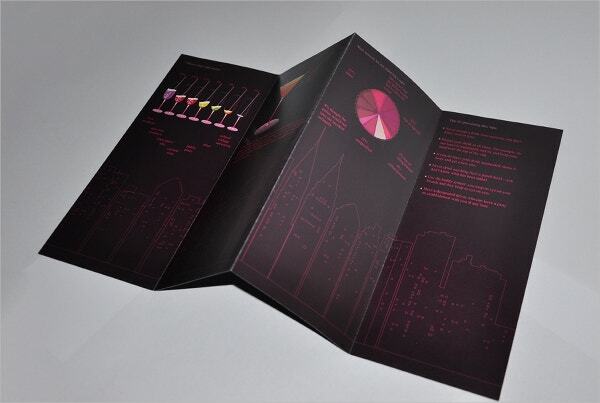 This original Infographic Brochure is Fully layered and well organized. It comes with 300 dpi resolution and can be easily edited. It includes AI, EPS, PSD files. 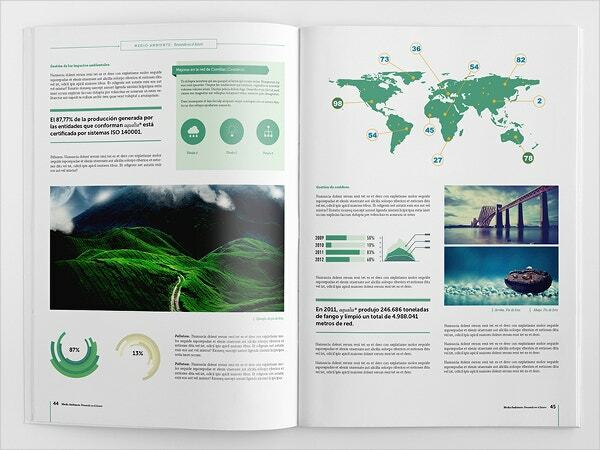 This is a complete 12 Pages Company and business Brochure Report Template. This layout can be used for various projects. It gives the option of print ready and contains 12 stunning pages which are easy to edit. 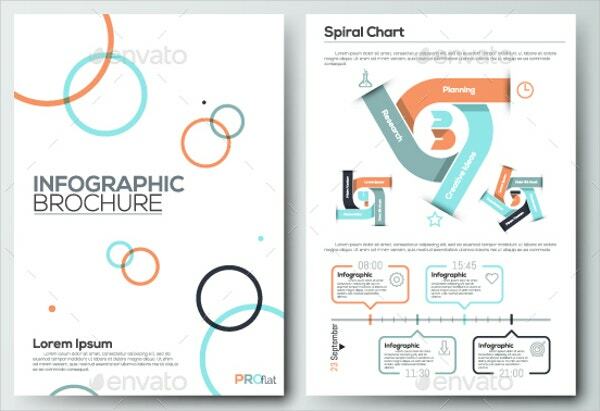 Infographic Brochures For Presentation template offer the best way to make your own Trifold Brochure Templates for business proposals and presentations. 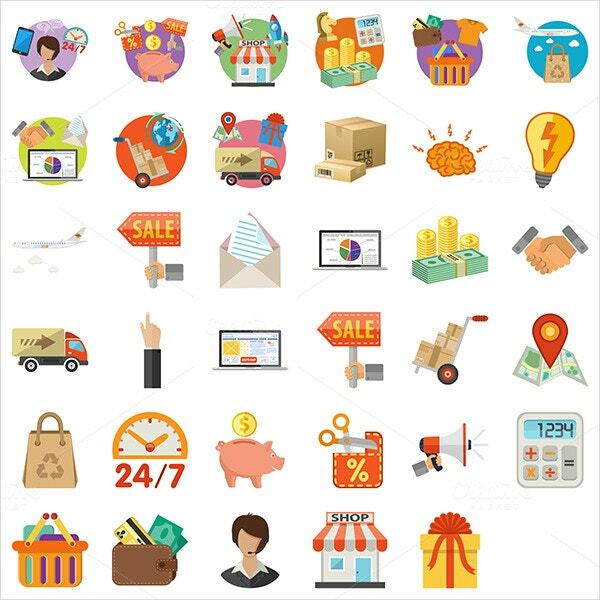 It comes with many designs and is 100% vector illustrated. It looks classy and is easy to use. These beautiful and elegant dark Infographic Brochure is useful for web development, web designs and process templates and more. With simple to modify options, it is also well organized and fully layered. 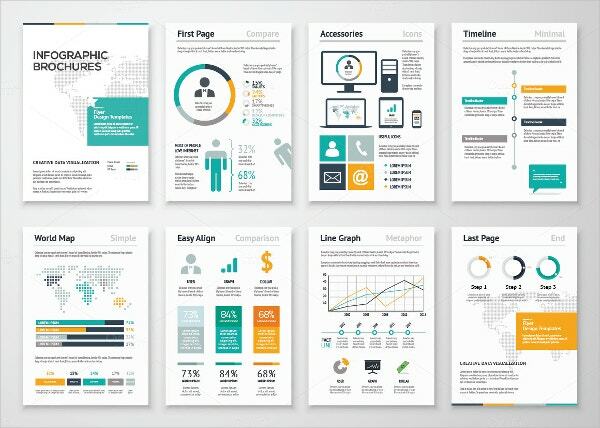 This modern Infographic business brochures banners are Contemporary conventional visual data which is suitable for web banners marketing and publicity materials, flyers, and presentation templates. It comes with amazing colors and a variety of layouts. 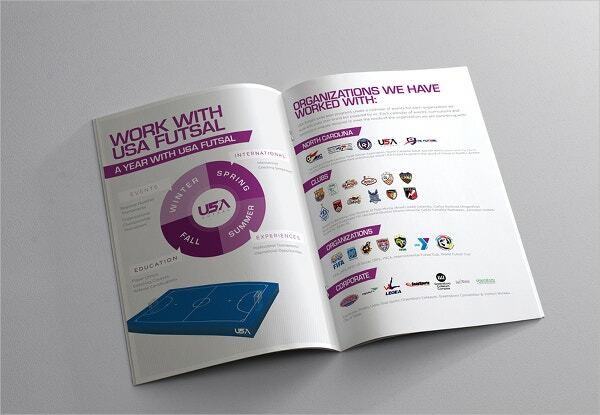 This brochure template is extremely useful in corporate business. It’s simple to modify and customize as they come in vector format. It has 300 dpi resolution and comes in various colors and shapes. 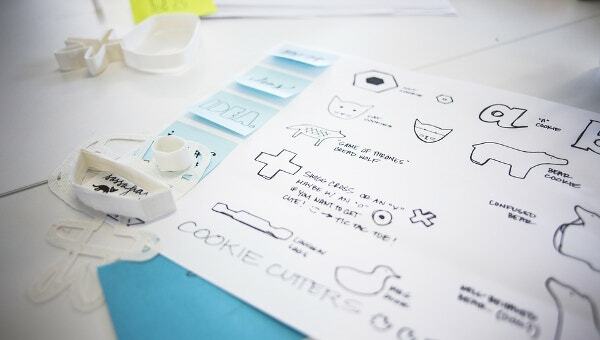 An elegant infographic can help you to make a difficult subject or rather boring subject into a charming and attractive experience. 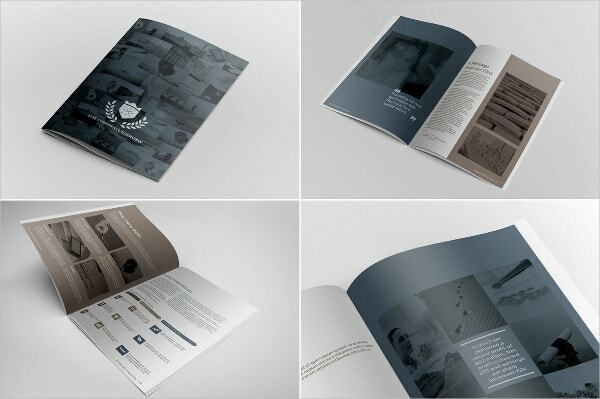 Brochure design plays a vital role in the achievement of your corporate firm. It helps you to set a tone for your brand and helps customers to decide if they wish to do business with you. Interestingly, all the above-mentioned brochures are reasonable and well-organized.